Built by Custom Line, part of the Ferretti Group, designed by the Zuccon Interional Project and featuring naval architecture by Giuseppina Arena, Mirabilis boasts Italian design finesse and style. Custom built to her discerning owner’s exact specifications, Mirabilis is defined by her large volumes with guest spaces and cabins equivalent to those on a 40-metre yacht. 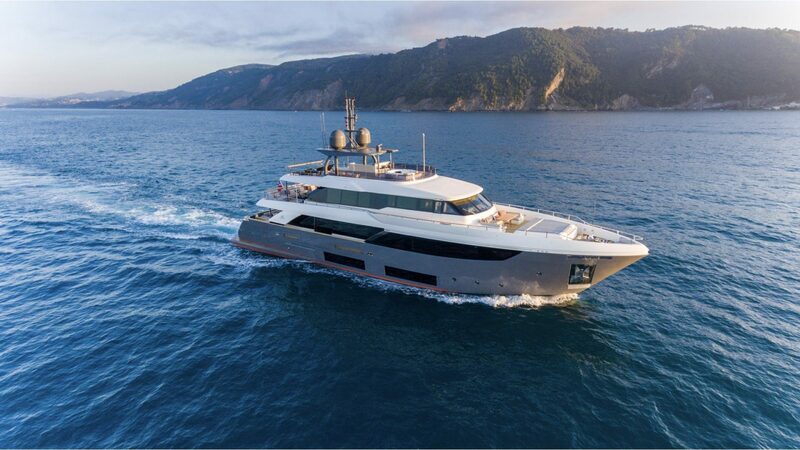 Her design was based on the yard’s popular Navetta 33 model, with bespoke elements and alterations then applied to fully customize the vessel. Mirabilis features an efficient semi-displacement hull, 25ft beam, five voluminous staterooms, bright open spaces that showcase an incredible collection of art, and exterior spaces that rival any 40 metre yacht in the world. Powered by twin 1,622hp Caterpillar C32 engines, Mirabilis reaches maximum speeds of 16 knots and cruises at 13 knots with a range of 1120nm. Perfect for relaxing, entertaining, exploring beautiful anchorages and more, she is a true all-rounder that is sure to please anyone looking to buy in this popular size bracket. *Not for sale to US residents while in US waters. Born and raised by the water in South Florida, Frank has been immersed in the yachting industry from a very young age, with his father and namesake a member of IYC for over 30 years. He joined IYC as an intern at the age of 18 and has built a successful career with the company ever since; in 2016 he was awarded the title of IYC’s Top Broker. Frank attributes his success to his fresh approach to brokerage. He believes that superyachts are the ultimate luxury, and that owners have to love what they are buying. As such, he ensures owners and yachts are well matched and he believes that the key to a successful sale is to really listen to the client’s need. 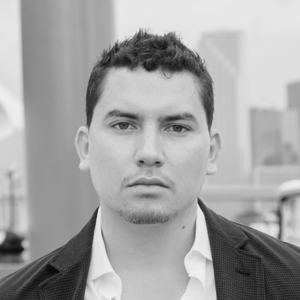 Frank is fluent in Spanish, which has proven advantageous for IYC’s clients in the affluent markets of Latin and South America. He has a strong work ethic and brings both experience and enthusiasm to every client’s enquiry.